Great Pyrenees "The Gentle Giant"
Doreen says...I love getting horses and working with one or two a year. I enjoy helping them overcome any issues they might have and then finding the perfect owner for them. 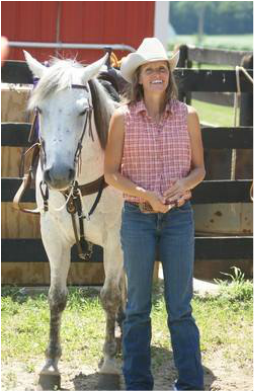 I get a great deal of satisfaction by watching the horses that I sell do really well with their new owners. I do everything I can to make sure that happens. 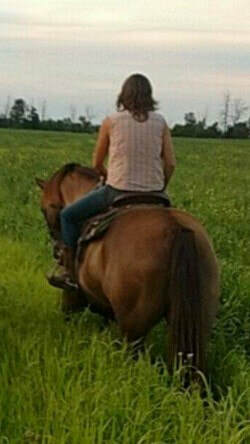 I am not a horse trader by any means, just someone that loves horses and enjoys helping them as well as helping people connect with these amazing animals. This boy is absolutely beautiful! Definitely a must see! He's a gorgeous chocolate color in the winter and sun bleaches in the summer, looking like a buckskin. He is a horse that anyone can ride. He's very laid back and loves the attention. He's that "in your pocket kind of horse" with a very friendly, loving personality. ​This guy has been camping at South Branch. He goes in the water and through ditches no problem. He ties out with ease during camping trips. He's been ridden right in town with many cars and semis driving past him with ease as well. No real vices to speak of. He loads, bathes and clips. Sysco will easily ride off by himself. This guy is as sound as they come. He is UTD on vaccines, deworming and dental work and his feet get done on a regular basis. ​I am selling him for my daughter whom just can't keep him anymore. He needs to be somewhere where he'll get plenty of attention as he loves all he can get. This pretty boy is the perfect height for the show ring. Even though he has never been shown, I believe he would do great. He's very sound, athletic and would make a nice speed horse as well as jumping and even english. He'd be great on endurance rides, with some conditioning, of course. He has a lot of energy and is very willing to do anything. 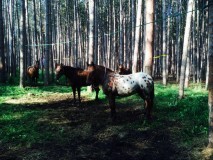 Blaze has also been camping at South Branch and will go in the water and through the ditches with ease. He ties great as well and has been ridden downtown with all of the commotion with ease. I'd say, anyone can ride Blaze and this would be true as he is safe enough, however, he has the tendency to test his riders knowledge a bit and if they don't understand horses and know when and how to correct them, he will try to get away with things. Blaze will ride off by himself, no problem. He has also been started on cattle sorting. Blaze is awesome and fun to ride, however, he does have a vice. 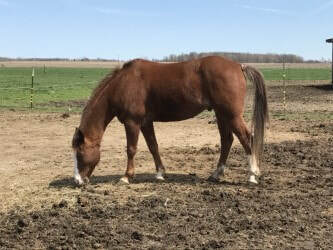 He does best in a pasture without a bunch of mares as he has a tendency to think only about them when they are pastured together. He is UTD on vaccines, deworming, dental work, chiropractic and has his feet done on a regular basis. Blaze loads, bathes, clips, and ties. My neighbors, 11 year old daughter was riding him in the pics below. ​This sweet little mare is eager to please and as cute as a button! 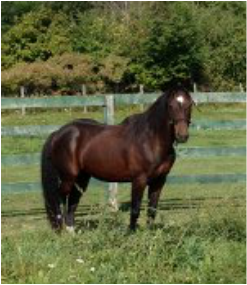 She was started as a 2 year old for a month or two then put back out to pasture and was finished as a 4 year old. Laredo has been exposed to cattle sorting, ridden into town, through trails and down roads. 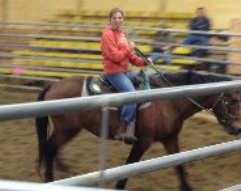 She's an awesome lil' mare. She has a great deal of potential and is a nice athlete. ​Laredo gets along very well with other horses. She ties, clips, bathes and loads great. She's UTD on vaccines, chiropractic, dental work, deworming, and has her feet done on a regular basis. I haven't found any real vices with this sweet lil mare. She needs someone with a gentle, loving hand as she's very smart and a little discipline goes a long way. 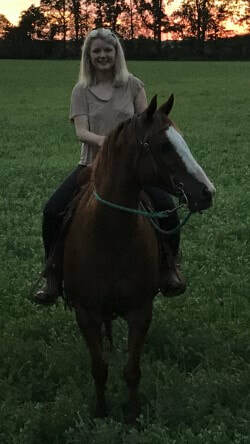 Even though Laredo has been a lesson horse a few times, she would do best with a rider that has some experience just because, I wouldn't consider her totally finished yet. She is well trained but still needs some time and hours. 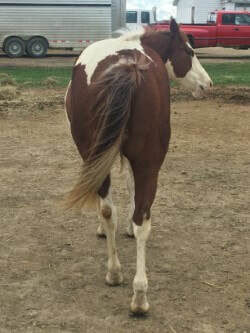 Quarter horse Arabian cross “Denver”. Here is an extraordinary horse you will want to see! He is well rounded and can go in any direction that you choose. He has been sorting cattle competitively for the last two years and is very cowy. He won 6th place at Congress in 2014. He neck reins like a dream and will move off leg pressure effortlessly. He has a collected, smooth lope that is easy to sit. 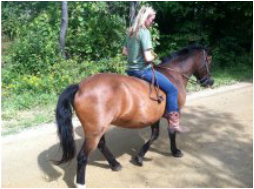 Denver has been hauled to multiple arenas and shows and does excellent on trails. 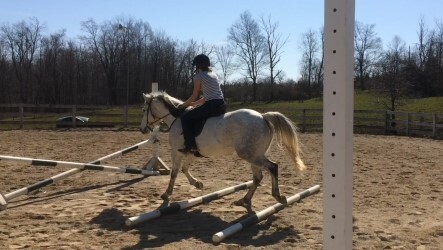 Recently he has been started over jumps and is doing wonderful. With a little more time he could easily become the perfect hunter jumper for a younger child or teenager. Because he was given time to mature prior to starting over fences his clean legs will allow for many more years of jumping to come. Overall Denver is the total package color, talent and personality! This guy could go from a trail to the sorting pen, to the jumping arena or even gymkhana events all in a week without hesitation. He would also be a great prospect for English or speed and action. Denver is UTD on shots, deworming, teeth floating, and feet trimming. He easily loads, bathes, and clips. I have been the only owner of Denver as he was born on my farm. The only reason I am selling him is because I have decided to pursue cattle sorting and have bought a horse that is more competitive leaving me with less time to spend with Denver. I know he'll make someone an awesome horse! He has a very special place in my heart and always will. He has a fun personality and even comes to his name when called. He is a, must see! 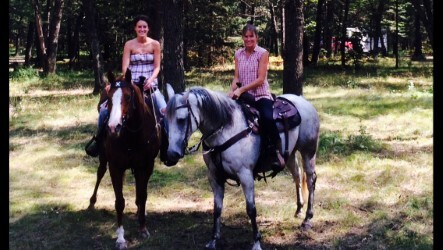 Reno is a super nice Appaloosa gelding. 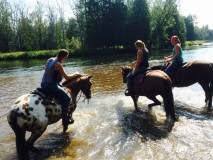 He trail rides and rode rides great! He will go through water, mud, ditches or up and down hills with no problem. 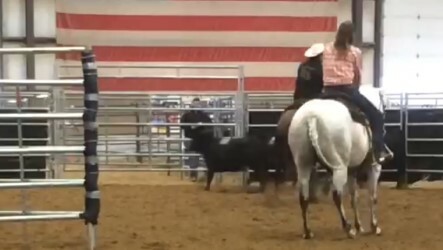 Hes been started on cattle but only a handful of times. He loads, clips and bathes and will ride off by himself. 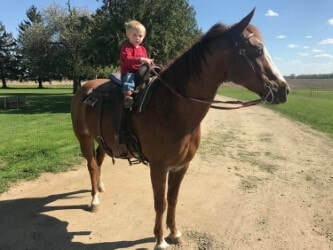 I think he needs at least an experienced beginner rider as he is not a dead beat. As you can see, we have taken him up north riding. He ties excellent and has no bad habits. He runs in about the middle of the pecking order. Asking $350. (Sold 2014) To a good home only! 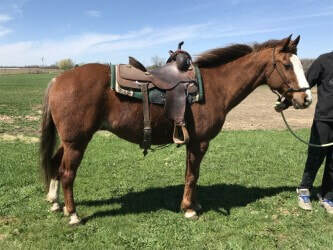 Gunner is a 12 year old grade Quarter Horse gelding. He is very smart and willing to please his owner. 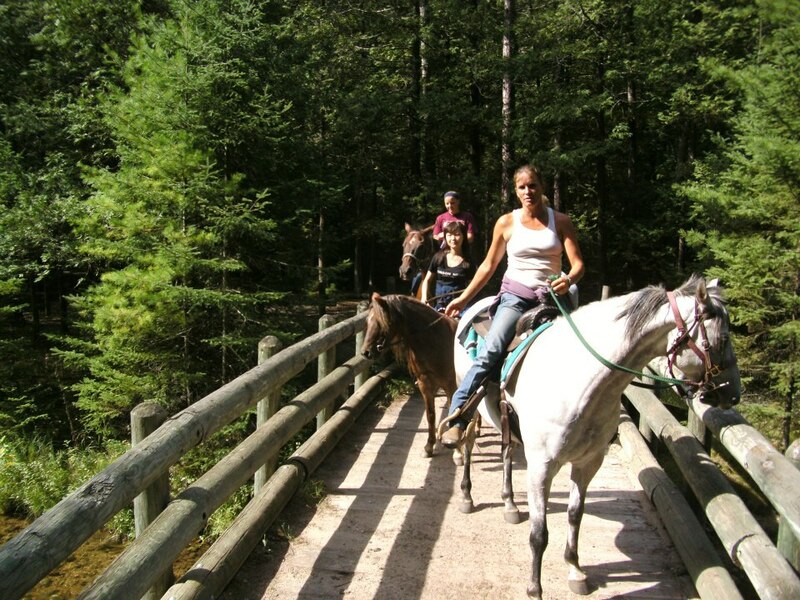 He enjoys learning and is very nice to ride with smooth gaits. Gunner has no bad habits. He is a very easy keeper. We don't blanket him or give him grain in the winter. He is probably in the middle to the bottom of the pecking order. I don't think that this horse has a mean bone in his body either. The worst thing that he has ever done was try to run back to the barn with me when I first got him. He has never offered to buck or rear when I've disciplined him. He is a real sweetheart! He is so willing to learn and please! Gunner does great on the trail but I have also started him on cows doing some cattle sorting with him at the Orchard Arena. His previous owner had done barrels and speed classes with him at some fun shows. He bathes and loads...I'm not sure about clipping because I don't clip my horses. I think Gunner would need someone with a bit of experience because he is very sensitive to leg pressure and soft in the mouth. He moves off your leg quite nice. He will neck rein or plow rein. Also because he has a tendency to test his rider a bit to see what he can get away with. I have not measured him but I think he would be about 15 hands. I really enjoy riding him, he is such a sweet boy but my time is too limited and I have too many horses. 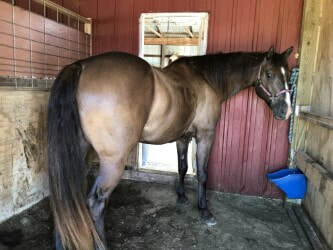 Tessa is a beautiful 10 year old Morgan mare, standing approx. 15.1. She is very versatile and can do many things. She is easy to teach and willing to learn new things with a kind attitude. She's got a very sweet disposition and quite laid back. She has no bad habits and is typically not at the top of the pecking order. Tessa bathes, clips and loads. 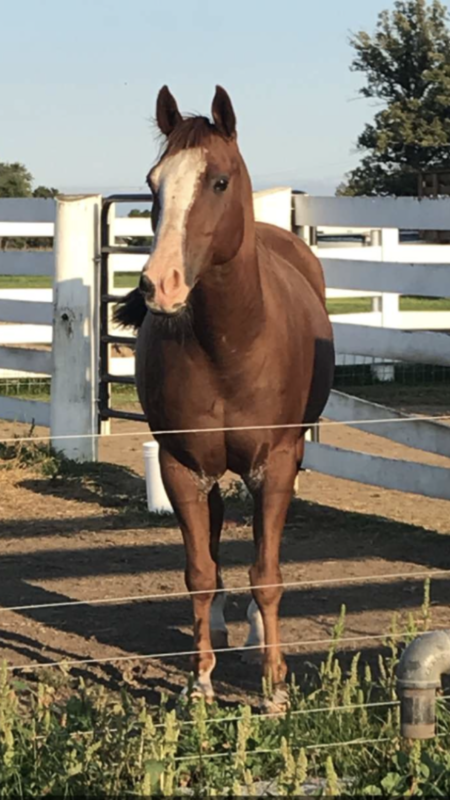 Her previous owner used her for a show horse. That's what I had bought her for and then my daughter decided she wasn't going to show so we've been using her for a trail horse. She has also been to the Orchard and worked cattle a bit also. We have ridden her to town and on trails, down the road and she does great. I think she would make a nice horse for english hunt seat and possibly western pleasure. However, I'm no expert when it comes to the show horses. She is a nice mover with smooth gates. She really is a nice horse and I would like to see her go to a home were they are going to use her.